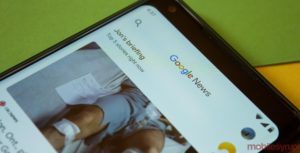 The post Google Assistant is gaining support for smart blinds, coffee makers and tubs in 2018 appeared first on MobileSyrup. 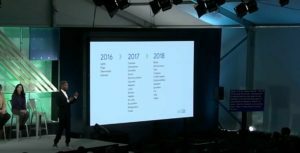 At I/O 2018, Google showcased a slide with a timeline of connected device support for Google Assistant. There are 10 device categories that will be added to the Assistant’s wheelhouse in 2018. 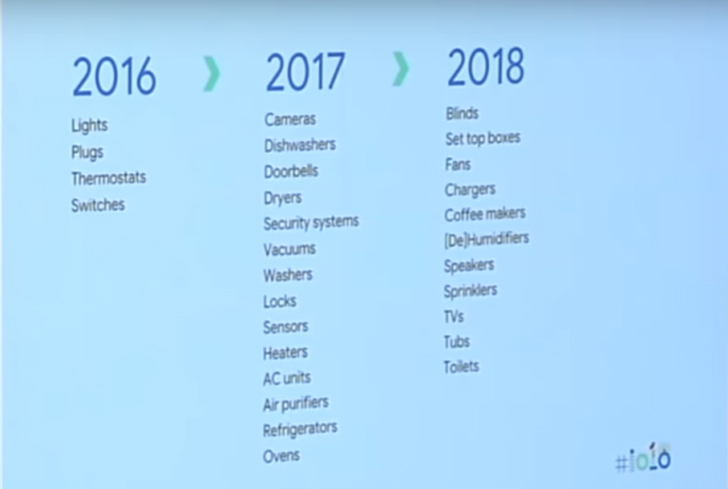 The company plans to integrate controls for blinds, set-top boxes, fans, chargers, coffee makers, humidifiers, speakers, sprinkles, TVs, tubs and toilets. Some of these devices are unsurprising, such as smart blinds and coffee makers. What is surprising, though, are things like smart toilets and tubs. According to Android Police, a smart toilet doesn’t control the flush but instead will heat the seat on command. As weird as this is, it’s really exciting to think of a future where I can say “okay, Google, start my day” and the Assistant will start my kettle, open the blinds, heat the seat and start playing some music. 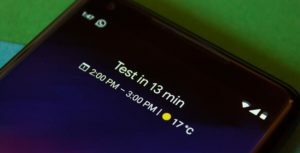 With this new timeline and the recent addition of Google Assistant Routines, it looks like we’re going to be living in that future very soon.